How can you drive your business to the next level if you don’t have full visibility of how all your resources are being used? 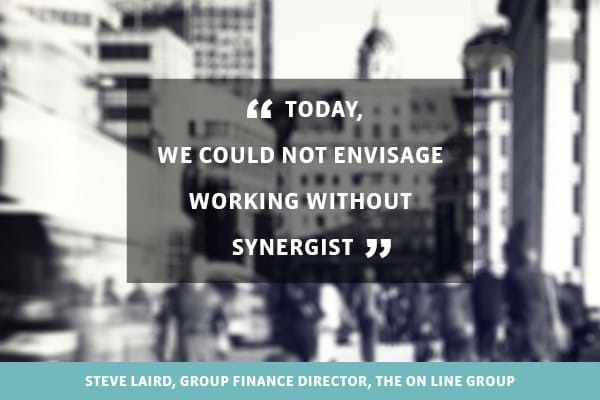 Synergist pulls everything together into one. Imagine updating a project record and knowing that your colleagues can instantly see it reflected right across the system, whether they are in the office or on the move. Let's take some real-life examples. Are you currently struggling with multiple spreadsheets, or worrying about project overruns? 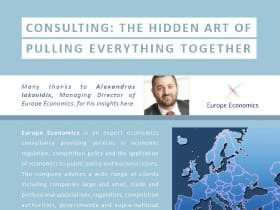 Renowned consultancy Europe Economics tells us they used to have to wrestle with both those factors. 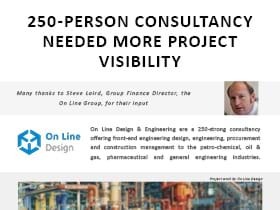 Or are you looking to improve project visibility, speed up invoicing or produce better reports to help management decision-making? See Online Design & Engineering’s story here. Or do you want more accurate costings, improve consultant utilisation or improve cash flow? 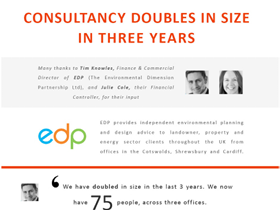 Then see environmental consultancy EDP’s story. What level of client service do you give? Wouldn't great service drag down your margins? 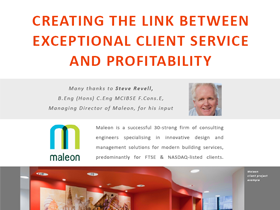 No, says the MD of consulting engineers Maleon, who have discovered a positive link between giving exceptional service and maintaining margins. All the current consultancy user stories are here. Why not set up a personalised online demo of how Synergist does all this? Feel free to ask the online consultant to show you precisely how it can deliver for your business needs. Your 15-minute online demo is one-to-one so we'll focus on the areas that matter to you. Your demo is delivered by a trained consultant at The Agency Works who’s there to answer your questions. It should take no longer than 15 minutes but of course, that depends on how many questions you have. We're here for as long as you need. Not quite ready for a demo? Fear not, you can use this form to simply make an enquiry.